Some 65 million years ago, a huge asteroid or comet, some 10 km across, wrought havoc when it plunged into the Earth and extinguished 65% of all life here, the dinosaurs and many marine and flying reptiles included. The impact would have plunged the Earth into a nuclear winter, perhaps for years, as debris from the impact was thrown into the atmosphere where it blocked out the Sun's life-giving rays. 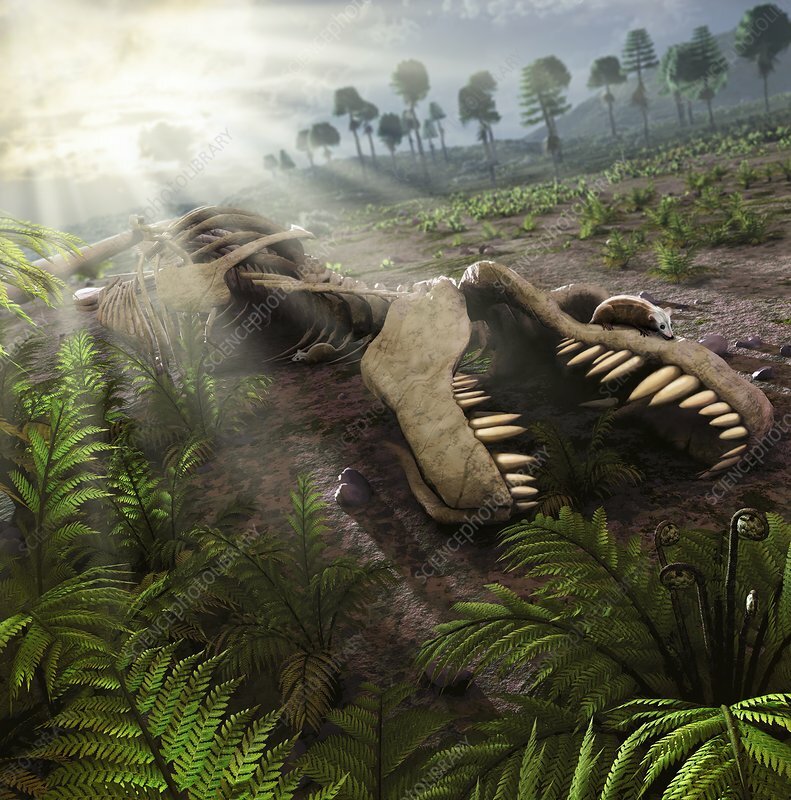 This illustration depicts a scene several years after the dinosaurs were wiped out. The atmosphere has started to clear, plants are coming back. A pair of ptilodus - a squirrel-sized mammal - are seen searching for food inside a carcass of a long-dead tyrannosaurus rex.